Cybersecurity company BullGuard is launching its own VPN for Windows, Mac, Android and iOS, intended to make it simple for users to ensure their online privacy. Designed to be easily used across multiple devices, BullGuard VPN features a simplified user interface and quick connect functionality, enabling consumers to fly under the radar and surf the internet in stealth mode while retaining complete anonymity via military-grade encryption. "Cybersecurity to date has been primarily focused on keeping consumers and their devices safe from online threats, but cybercriminals also pose a threat to consumer privacy," says BullGuard CEO, Paul Lipman. "In today's cyberthreat landscape, security and privacy must be equally addressed in order to adequately protect consumers. 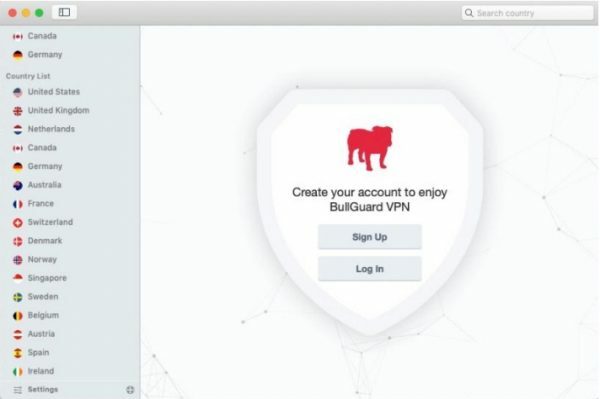 BullGuard VPN enables consumers to safeguard their online privacy in a fast, easy and seamless way -- from their desktop, laptop, tablet or smartphone -- wherever they go." BullGuard VPN can secure and protect up to six devices simultaneously -- so it can be used on a desktop computer, smartphone, laptop and tablet -- and consumers can easily switch between 16 different country locations. Features include AES encryption with 256-bit keys, a quick connect feature that chooses the best server to use at any given moment, auto connect for open Wi-Fi networks, and a kill switch that will automatically block your device or stop certain programs from accessing the internet outside the secure VPN tunnel. It costs $71.99 (£54.99 UK) for six months, or $84.99 (£64.99) for one year. Two and three year deals are also available and current BullGuard customers are eligible for a 25 percent discount. You can find out more on the BullGuard website.